We are open an hour later so you can complete all your Christmas Shopping! Through December 23, we are open from 10 am – 8 pm, Monday – Saturday. On Christmas Eve, December 24, will will be open from 10 am – 4 pm. We are closed on Sundays. 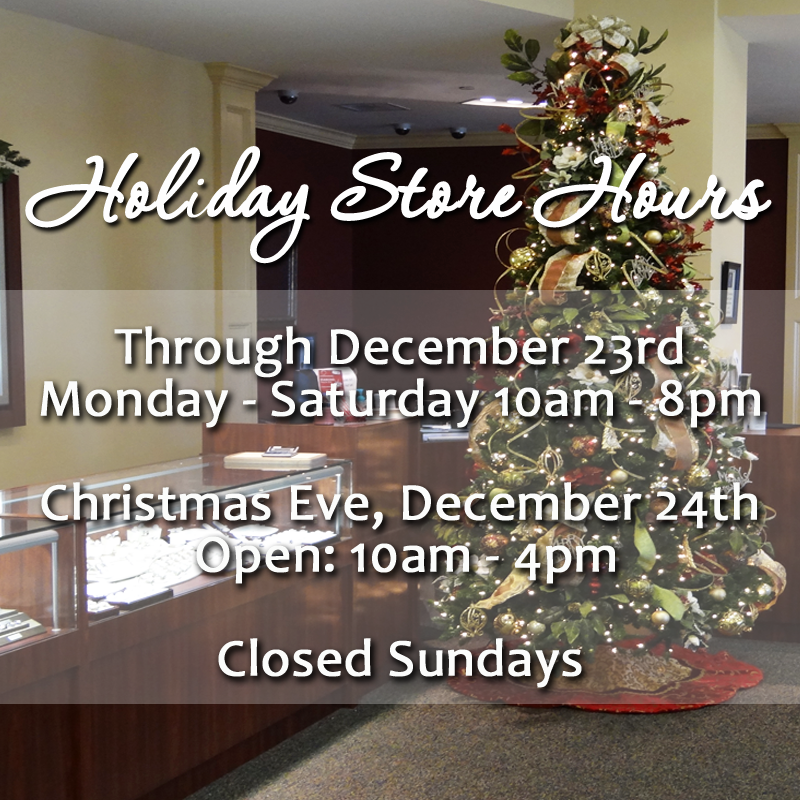 Our Traditions Stores, also have the same holiday hours. See our previous blog entry for our Christmas Flyer, to help you get your Christmas Shopping done! Click here. This entry was posted in Jewelry, Jewelry and Holidays, Jewelry News and tagged christmas, holiday hours, jewelry warehouse, jewelry warehouse store hours. Bookmark the permalink.